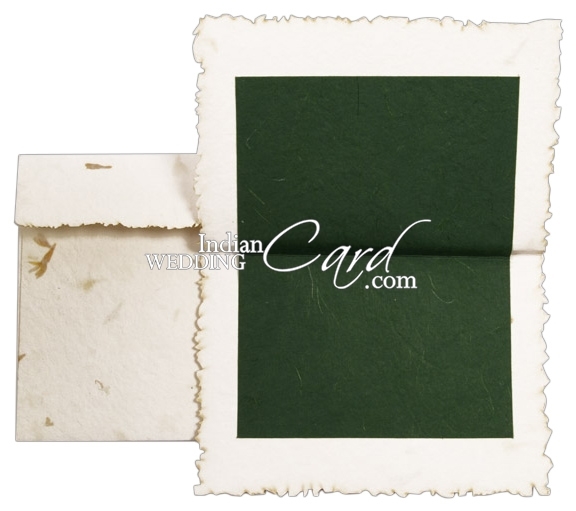 Paper: Deckle edge grass mottled handmade paper for card and mailing envelope. Inside paste-up in green silk handmade paper. Description: Laser cut card! 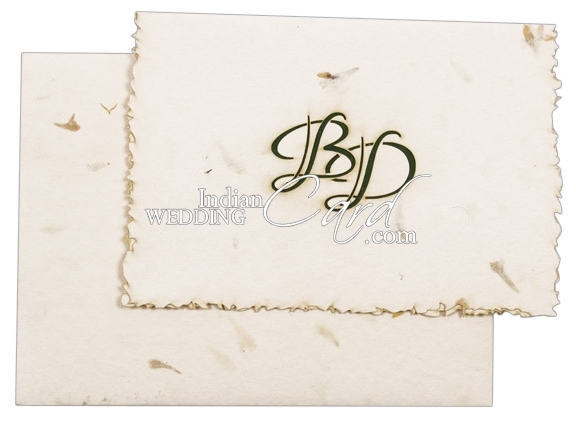 This fine deckle edge handmade paper mottled with grass from our very own factory. The front has Initials, which will be customized as per your needs. A must for nature loving people! We just wanted to thank you for all the work you have done for us. The invitations turned out beautifully; my parents loved them! Thanks as well for sending the strings for our wedding programs; we really appreciate you going above and beyond to keep us happy. We will definitely refer you to others! 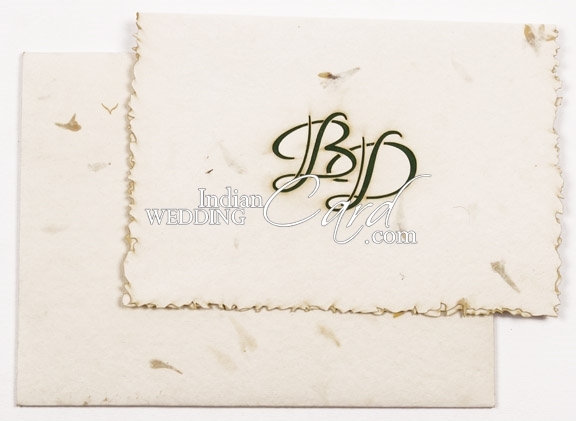 Dear IndianWeddingCard, I am happy for you to use our testimonial on your Website. We found the entire process from selecting the card to placing the order and tracking it really simple and easy to use. What we liked most is that you took the time to prepare a Youtube movie for every single Card. This allowed us to properly go through the Cards and select one that we like without any worries. The Quality of the Cards are great and we have already received a lot of positive Feedback from our friends about the design of the Card. Thanks again for your superb Service.